Successfully Added Tronsmart C2PTE USB Car Charger - Qualcomm Quick Charge 3.0, Volt IQ, USB Type C to your Shopping Cart. The Tonsmart C2PTE is custom made for Type C Charging devices and is suitable for the lastest devices such as Nexus5X, Nexus6P, Samsung Galaxy, iPhone, iPad and many more. Take advanatge of Quick Charge 3.0 technology on the USB Type C port to power up your poertable devices in a fraction of the time as this charger can reudce charging time by up to 80%. Quick Charge 3.0 is even faster than its predecessor and as much as 4 time faster than using a normal charger so you can enjoy super fast charging and won't have to be tethered down so much waiting to recharge your devices. Just 15 minutes of charging before you go out could bring your devices enough power to last for a night out when using the Quick Charge technology. The USB Type A port comes with Volt Iq that will automatically identify and apply the right power for all your devices up to a maximum of 3 Amps for greater chrging economy. 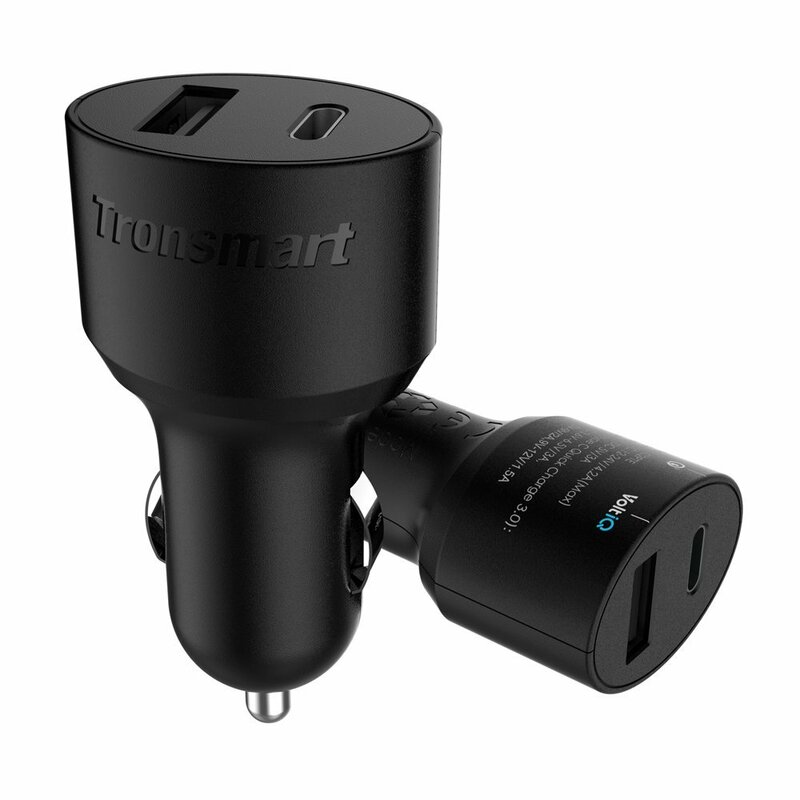 The Tronsmart C2PTE USB car charger comes with a 12 months warranty, brought to you by the leader in electronic devices as well as wholesale gadgets, Chinavasion..